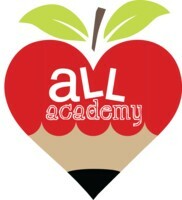 ALL Academy and Learning Center is now located in NJSH! A Love for Learning is an enrichment center that provides fun and creative classes for students to explore and learn. Classes such as LEGO Exploration, Science Explorers, The Messy Artist, Creative Writing, Book Club and More provide students with ​an opportunity to further their education in a fun and exciting way! Not only do they provide enrichment classes but they also have one on one and small group tutoring available. A Love for Learning was founded by Jillian Saldana who is a mother of two with over ten years teaching experience in early childhood and elementary education. As a mother of a child with ADHD she had difficulty finding educational programs in which her child was both learning and engaged. She began A Love for Learning to provide students with opportunities to meet their personal learning goals and enjoy it at the same time. Jillian is a certified teacher in grades K-5 and holds a Master's Degree in Education grades K-8. She is currently pursuing her Doctorate in Literacy, Supervisory and Curriculum Design. At A Love for Learning we believe that learning should be fun and our curriculum is designed to keep students engaged and involved. Call Us today at 201-749-6451 or email jsaldana@njsportshouse.com for more information!